Rescue Critters'® Haemostasis Pad is an advanced surgical training product. 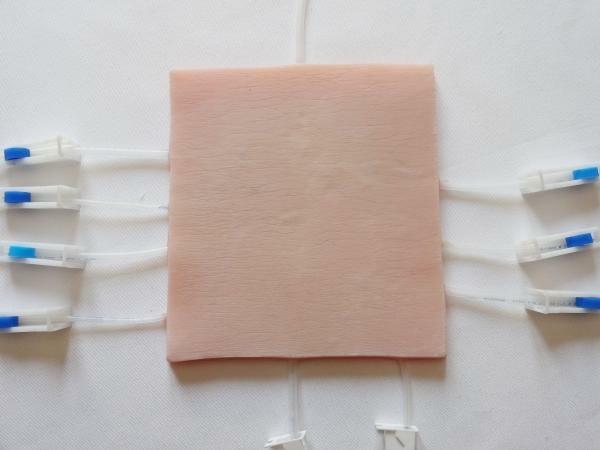 The haemostasis pad has an immensely lifelike feel to it and features the epidermis, dermis, subcutis layers and blood vessels. Trainees can make incisions on the blood vessels and perform haemostasis, longitudinal arteriotomy, end-to-end anastomosis and ligation. 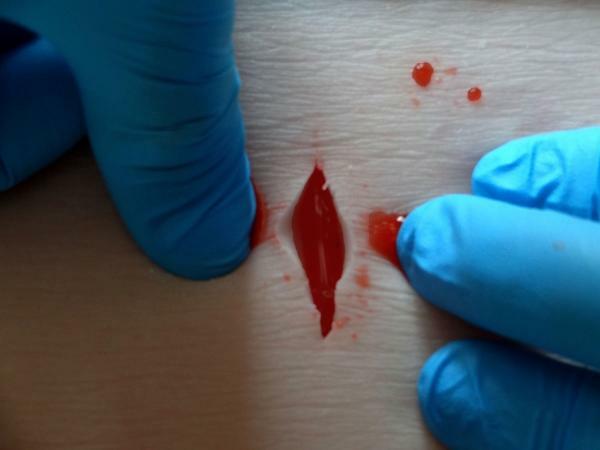 Another secondary function of the Haemostasis Pad enables trainees to also practise their suturing skills on a realistic surface. This pad is approximately 12X12X0.5". It has a surface area about 15 times larger than our Suture Patch. Trainees should be able to perform about 50 incisions over the entire surface of the pad, depending on the size of the incisions. The Haemostasis Pad comes in its own specially designed box and a pack of artificial blood. The IV drip bag and stand may be purchased separately. Note: 1.Additional IV drip bag is available at US$13.00 (Item #831). 2. Additional IV stand is available at US$20.00. 3. A bag of artificial blood is also availible at US$21.00 (Item #830).